Whether you’ve just graduated high school and are working toward your Bachelor’s degree or you’re pursuing higher education, such as a Master’s degree, after being in the workforce for decades, LendingTree’s student loan center can help you find the right loan – at the right price – for your desired degree. Most likely, your education is going to be your biggest expense next to your home. That’s why it’s so important to shop around and find the right loan and the right lender for your unique situation. When financing so much money, just a slight difference in the interest rate can save you thousands of dollars over the life of the loan. Unfortunately, about 65% of students misunderstand the terms of their own student loans. That means they aren’t comparing options, reading the fine print or asking questions about one of the most important financial decisions they’ll ever make. Don’t be one of them. And, if you have no credit or poor credit, that’s not a problem. With the majority of students having to borrow money for educational expenses, lenders aren’t going to punish you for not yet establishing your credit. If you have been asking yourself this question, you are not alone. In fact, many students who take out student loans don’t fully understand what loans are, how student loans work specifically, what types exist, and so on. Not to fear, we can help! Let’s start with defining a loan. A loan is an agreement between a borrower and a lender. A lender gives money to a borrower, and in exchange, the borrower agrees to pay back the lender over a certain period of time plus interest. Student loans are a type of loans that are intended to be used for a borrower’s education. It’s important to note that a student loan is a financial transaction, one that comes with a binding agreement between you and your lender. If you take out loans for your education, it’s wise to only take out the amount you need and no more, as you will be expected to repay this amount in addition to interest down the road. Also, remember to do your research to find out how the interest on your loans accrues and what types of repayment opportunities will be available to you upon graduation. Can a Student Loan Help You? Whether for community college, a university, graduate school, or even the supplies necessary to go to school, a student loan can help you cover expenses when you might not be able to afford them on your own. Private loans are offered by banks, credit unions, private lenders, and other lending institutions. These loans are based on creditworthiness—a higher credit score typically means a lower interest rate. While APRs can start as low as 3.00%, students may want to consider a cosigner to qualify for the best rates and terms. While most private student loan options have a variable interest rate, fixed-rate private loans are available as well. Federal loans are funded by the U.S. Department of Education. To qualify for federal loans, students must demonstrate financial need (for most programs). Eligibility is determined by filling out the FAFSA, the Free Application for Federal Student Aid. Interest rates on federal student loans are fixed, ranging from 5.05% for undergraduate studies to 6.6% for graduate education. 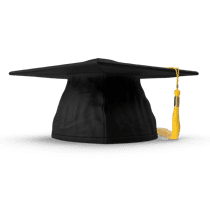 Private loans often may be used to cover the difference between the total cost of education and the amount offered through the federal loan program. This may include the cost of housing, books, fees, and other educational expenses, in addition to the cost of tuition. Before making a decision whether or not you will borrow federal loans or private student loans, make sure you understand whether or not interest accrues while you’re in school, if there is a grace period when you graduate, and how much interest your lender is charging you. Don’t be daunted by the task of finding funds for school. Taken a step at a time, this process is manageable, if a bit long (so don’t wait till the last minute). We’ve broken it down into the four big steps you’ll need to take—along with a few smaller ones throughout. Be thorough and organized, your college loans have the potential to be with you a long time. Your future self will thank your current self for doing the leg work to ensure you get the best possible loans now. Finding out how much money you may need to borrow requires a flurry of steps on its own. The first one, however, is figuring out how much college tuition costs at your school. Check your school’s website for the annual cost of attendance along with room and board. 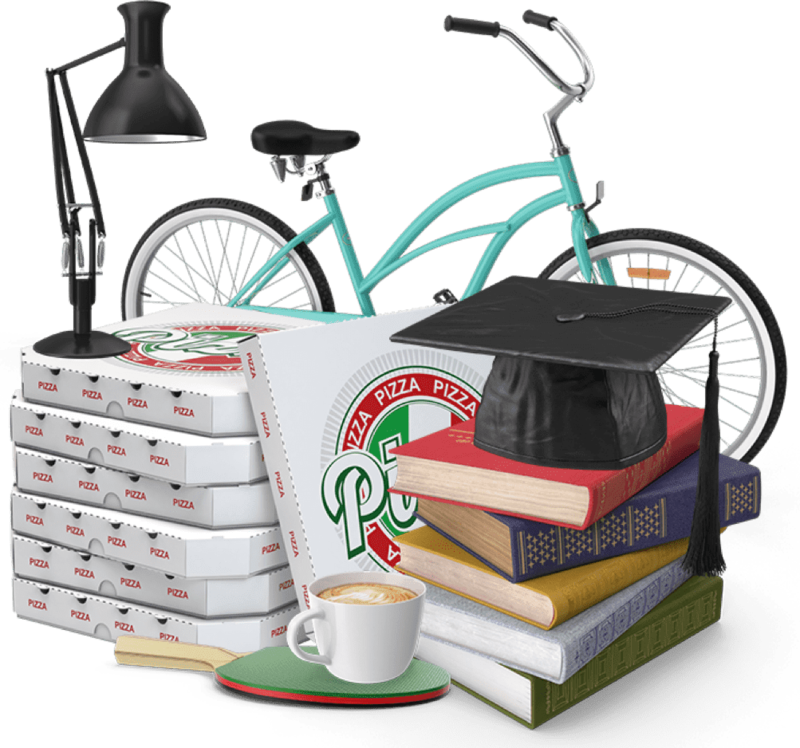 Try to estimate the costs of books and supplies as well, although, you may not know exactly what you’ll need until classes are in full swing. Once you figure out how much college will cost, you can determine how much money you have saved, plus add in any college scholarships you may have earned. Filling out a Free Application for Federal Student Aid, or FAFSA form, is an inevitable part of this process as well. Once you fill out a FAFSA, you’ll learn how much aid you can qualify for if you choose to take advantage. You’ll also learn your required family contribution to school, which can be significantly less than college tuition depending on your family’s income and other factors. Federal and private loans are available to help students make up the difference between the money they have and the money they owe. Make sure to compare loan options based on interest rates, repayment terms, and whether the rates are variable or fixed. Private student loans are a viable option for students who need to borrow money for school and may exceed borrowing amounts offered through federal loans. Make sure to compare private loans across a handful of lenders to find the best loan terms. Since private loans are not backed by the federal government, they are not guaranteed and do require good credit to qualify. On the positive side, however, private lenders have been known to offer incredibly favorable terms to students who need help with school. Once you’ve compared loan options and decided on financing that meets your needs, it’s time to apply and get the ball rolling. Fortunately, our online world has made it easier than ever to apply for educational loans from the comfort of your own home. Generally speaking, you’ll start by choosing a lender or applying to receive multiple loan options through a service like LendingTree. Once you’ve nailed down a loan offer to move forward with, you’ll be able to upload any required documents right from your home computer. Once you supply all the documentation your lender requires, you may need to wait a couple of weeks to receive a decision on your pending student loan. In the meantime, you can continue planning your college education or try to earn more money to lighten your load. Get approved, accept, and sign! While waiting a few weeks for approval can be stressful, it doesn’t always take that long to receive a response regarding your loan application. You may only need to wait a few days to hear whether you’re approved for the funds you need for school. And once you’re approved, the rest of the process is simple. As you prepare to sign your loan documents, make sure you read through them thoroughly. Note the various terms you’ve agreed on, and if they’re worded like you imagined they would be. Make sure to check the loan term and interest rate to ensure you’re receiving what you expect. If your loan has been approved, your lender will require your school to certify the loan – as in, your school will need to provide documentation that you do plan to attend. While each school has its own process regarding how they certify loans, most schools certify at least once per month. According to Sallie Mae, however, some schools may not certify private loans until a few weeks before school starts. Once your school has certified your loan, your lender will provide a disbursement of loan funds. These funds are typically sent to your school in a lump sum or in several smaller disbursements. Curious how student loan rates work? Ready to crush student debt? If you already have student loan debt and are looking to lower your monthly payment or your interest rate, head on over to our student loan refinancing center to find a lender that will refinance your existing loans and make them more affordable.